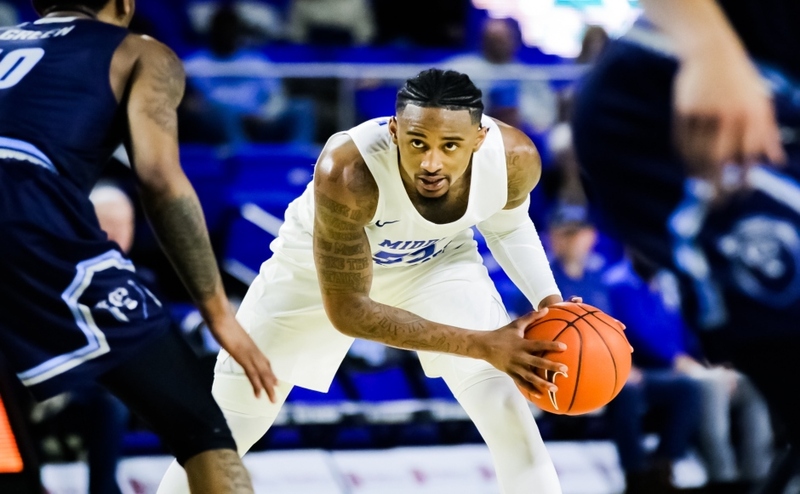 The Blue Raiders came out on Tuesday hungry for a win after falling to Tennessee State over the weekend. Kermit Davis’ signature 1-3-1 defense worked wonders for his team, as they were able to stifle Toledo all evening long in the 80-70 win. JaCorey Williams set the tone for the night with back-to-back dunks to open the game, the last being a no-look, behind the back lob from Upshaw that electrified the crowd of 3,984. There were numerous dunks on the night, but it was the team’s defense that won the game for them. Coming into the matchup, the Rockets were averaging 88.8 points per matchup. Their leading scorer, Jonathon Williams, averaged 21.9 points in their past three outings but was held to just 12 tonight, all of which came in the second half. MTSU won the turnover ratio with ease, 14-8 and cashed in 22 big points off of those mistakes compared to Toledo’s 11. The Blue Raiders also outscored the Rockets on fastbreak points 14-2. The Blue Raiders split up their scoring evenly, but JaCorey Williams once again lead the team in points with 18. He also tied Giddy Potts for most rebounds with six, but Davis believes Williams can improve. 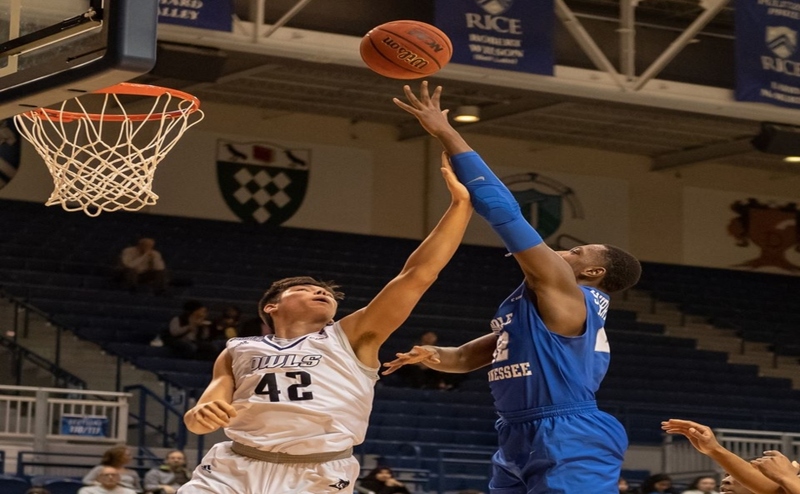 Potts, who has struggled from the three thus far and was 0-1 tonight, contributed in other areas including his defense and rebounding. “Giddy Potts is going to have huge nights offensively. We’re going to do a better job of trying to get some more things for Giddy and he’s got to execute too,” said Davis. Ed Simpson continued his hot shooting start to the season. Simpson currently leads C-USA in three-point percentage (.700), shooting 7-of-10 from beyond the arc through four games. He finished the night with seven points, including another three pointer. 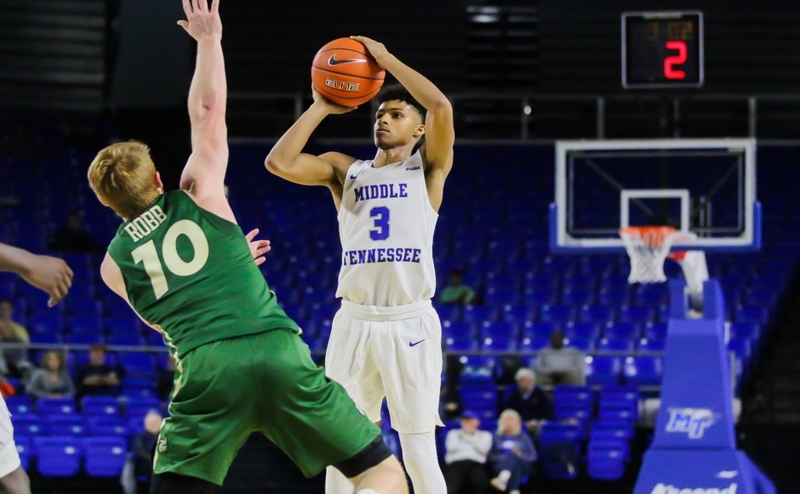 After not starting in game three, Tyrik Dixon was inserted back into the lineup and performed well, notching his first points as Blue Raider with a nice spin move and lay in. He continued to take and make tough shots from inside the paint, as well as behind the arc and finally looks settled in. Dixon ended his night with 5-8 with 11 points to go along with five assists. Upshaw scored in chunks throughout the night, but totaled 16 by the final buzzer. He also added five rebounds. 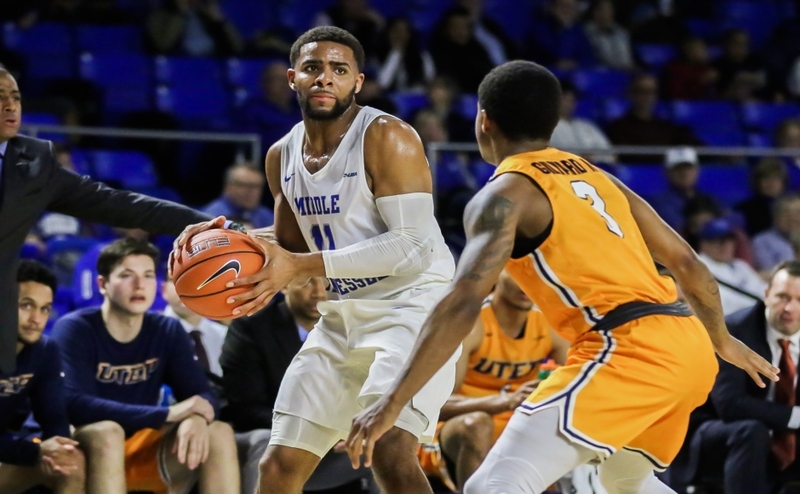 MTSU now looks ahead to the Music City Challenge at the Municipal Auditorium in Nashville where they will play Friday, Saturday, and Sunday night. 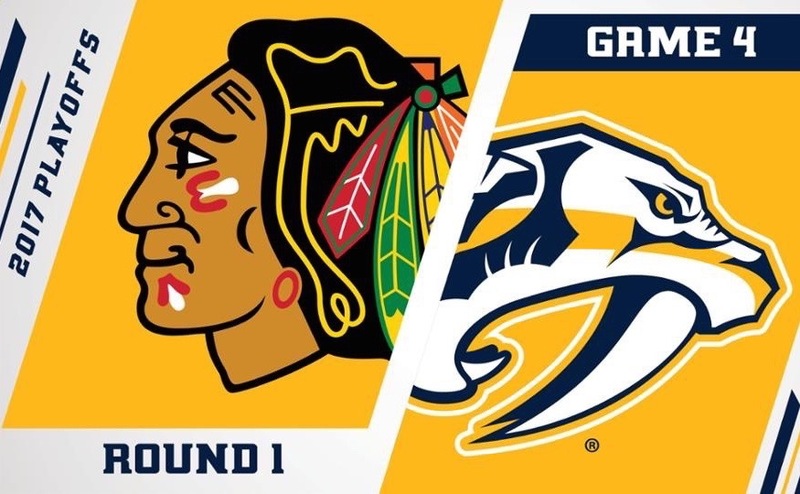 Their first game is on Friday night at 7:30 p.m. against UNC Wilmington.